Installing a swimming pool is one of the most important decisions taken by a homeowner. Though pools offer space for fun, leisure and exercises still they often affect the value of that property like center point of the home. Though, pools are made by making different types of shapes and surfaces by using different types of materials but the most important thing to be considered while constructing them is their dept. the swimming pool depth recommendations provided in this write-up can be important for you if you already have a family or planning to have kids. Why do you want a pool in your property – for swimming laps or for playing beach games? The minimum depth for fun pools, to accommodate kids and adults both, should be three feet and 4-5 feet maximum. The depth and length of the swimming pool should be 5 feet and 25 feet if you want to have swim laps in it. 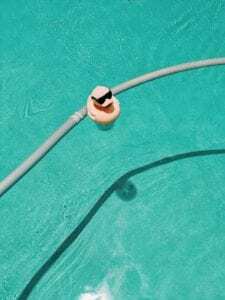 Most people are satisfied with the standard depths of 3-5 feet in a pool with multiple depths but it cannot be a right decision if you and your spouse’s height are not suitable to those pool depths. For instance, a multiple depth pool can be suitable for a 6’ high husband and less than 5’ high wife as both can be accommodated at their respective safe depth i.e. 4’. The height of shorter family member can be the determining factor in such cases. There is no best and safest height for children as they grow faster than adults. A 2 feet deep pool can be the best choice for young toddlers but the depth of three feet and more can be suitable for him after a few years. So the area to wade or walk through pool water should not be too large. Some people recommend a separate pool for children to wade in but if they are serious about swimming then it is better to design an L shape pool as it will allow people with shorter legs to wade-in and swimming laps for long-legged people. The wading area if such pools can also be used for getting out and in the pool. Some may also like to use a traditional ladder for this purpose. Can I Dive in my Pool? Diving is one of the important considerations while deciding about the depth of the pool. The pool should not be less than 10 feet deep for the diving purpose. But such changes in the depth of the pool can affect your budget as well as the profile of the pool. Will it Affect my Budget? Though a deeper pool can be used for diving but it can also affect your budget as it may need more water to clean it as well as to fill it. It will also increase its maintenance cost along with other expenses. A pool with small diving space used to need thousands of dollars more to spend on water and cleaning it even a few decades back. So, according to swimming pool depth recommendations provided in this write-up, you can add a diving board if you can afford the costs of increasing its depth and its maintenance. For assistance on you residential pool, don’t hesitate to contact Regal Pools for more information.